On May 30th, 2016, Nordic FA Solutions and French Finance Active have entered into a partnership. 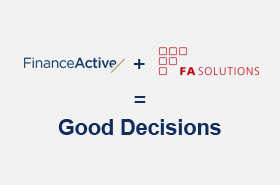 The new partnership will result in a common asset management module to complement Finance Active’s debt management solution, where FA Solutions will provide the portfolio management side of the solution. The solution will enable users, e.g. CFOs and treasurers, to see their assets in same view as they can see their debt, and thereby consolidate treasury and pension funds for asset and liability purposes. Implementation work for launch clients has started. “Finance Active was looking for an asset management solution to complement our debt management solution as we have seen rising demand for this. FA Solutions was a very good match and the best choice for us. The selection of FA Solutions was done jointly with our key clients. We are very happy of this partnership and we expect to go live with the integrated version of the asset management module in our debt management solution during 2016”, comments Jacques Descourtieux, CEO of Finance Active. “We expect that this partnership will be very successful, as Finance Active’s solution will become very powerful for treasury departments all across Europe. Many treasuries also manage pension funds in their corporations. Until today, there has been no modern and integrated solution for ALM, but this will now be resolved. Furthermore, Finance Active’s solution is a modern solution that technically fits perfectly with FA Solutions”, adds Richard Nordin from FA Solutions. Fintech company established in 2000 in Paris, Finance Active develops high-quality solutions to optimize debt and financial risk management: foreign exchange, investments, financial forecasting and guarantees. With over 10,000 users worldwide, Finance Active paves the way for digital transformation in financial departments of companies, local public authorities and financial institutions.Permanently connected to financial markets, our solutions provide a dynamic and centralized view that simplifies transaction management. Our innovative, user-focused approach allows us to develop agile and collaborative software to maximize financial performance and enhance operational efficiency. With a turnover of €17,1M and 140 employees in France and abroad, Finance Active is a founding member of France Fintech. Founded in 1999, FA Solutions is today the leading provider of software solutions for Asset Management, Fund Management and Private Banking, with a rapid growth both in the Nordics as well as globally. We offer modern tools for portfolio management, investment analysis, reporting, CRM and sales – everything included in one software platform which is always accessible with any device. Our solution is built with blocks which makes it easy to set up and tailor for customer needs but also flexible for growth. FA Solutions is a combination of strong knowledge from the finance industry and high-level technical skills.